Here, at cradle of hills we make only small quantities of wine each vintage as we believe that slowly-made, handcrafted wines best capture the spectrum of flavours available from winegrapes. Read more about Our Story. 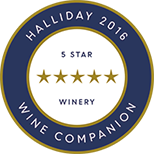 Since our first wines were released, we have enjoyed great feedback from you, our drinkers, from wine critics and from the award system. Our wines have sold briskly and in some cases we have had to ask buyers to wait for new releases, due to limited quantities. This is great, though buyers have increasingly requested an allocation of wines be kept aside for them. Priority access to new, scarce and Limited Release wines and Free storage of your wine selection for up to one year in our temperature-controlled wine storage facility. Premium cradle of hills wines delivered twice a year. Enjoy a Rock the Cradle 12-pack (20% discount on all wines), comprising your own selection of favourites (based on availability). Significant savings of around $80+ per case on wines. An initial gift of 1 Free Bottle – Available for collection from our Tasting Room. Members Only preview access to our ROW 23 Limited Release wines and museum wines. Free Extended Cellar: Pre-order your wine packs for up to a year ahead at no cost or lock-in, to ensure you do not miss out on your favourite wines. Membership numbers are limited to 100 persons as at March 2018. Phone us with any queries on 0438 564 281. How to become a member - it's easy! Join now by sending your name, email address and phone number to us at [email protected] and we will contact you within 3 days to get your membership started. Note: Please read our Member Benefit Guide (see above) and Terms and Conditions which apply to our membership Agreement before you join our club. Note that persons under the age of 18 may not purchase wine in Australia. Rock the Cradle Members choose all their own wines! Receive an allocation of 12 wines of your own choice, from our special Members’ Order Form (request our latest list by email), delivered twice annually (May and November). You will receive an automatic 20% Discount on all wines including our ROW 23 ultra-premium wines, magnums and scarce wines (when available), as a Rock the Cradle 12-pack Member. Members’ Order forms differ from the standard Order Form, where pre-release and museum wines will be offered for Members Only. Minimum membership time two years or four deliveries. No joining or exit fees. Receive a minimum of 4 x 12-bottle packs of wine (4 deliveries over 2 years) to be delivered to the address provided by you and charged by cradle of hills (saving up to $80 per case). Nominate the details of your Credit Card for payment of wine supplied by cradle of hills. To advise cradle of hills of any changes to either Credit Card details or Delivery Address details. Continue your membership for a minimum of 2 years, after which you may cancel your membership without incurring any fees or charges as long as you notify cradle of hills in writing after the first anniversary of joining. Notify cradle of hills with any changes via phone (08) 8557 4023, email at [email protected] or, by post at PO Box 230, Aldinga Beach, SA 5173. Contact you if wines you request (in individually selected packs) are no longer available.